Announcer: 00:00 You’re listening to the Over Divorce DOT com podcast with host Tom and Adrian, two guys swapping stories about getting over divorce. If you’re going through a painful divorce and are struggling with anger and anxiety, then you found the right podcast. Hand with us for the next 30 minutes or so, and we promise you’ll gain useful insights and effective tips and techniques for getting over your divorce and rebuilding a better life. Adrian: 00:23 and I’m Adrian. With us today is Dr John Cacioppo. He’s the Tiffany and Margaret Blake, distinguished service professor and director of the center of cognitive and social neuroscience at the University of Chicago. Dr Cacioppo is a pioneer in the field of social neuroscience and the author of more than 500 scientific articles and 20 books including loneliness, human nature, and the need for social connection. Among the awards he’s received are the trolling award from the National Academy of Sciences, the distinguished scientific contribution award from the American Psychological Association, a Merit Award from the National Institute of Health and is recognized as one of the top 50 most eminent psychologists of the modern era. His research and social neuroscience is devoted to understanding the neuro, cellular and molecular mechanisms underlying the social structures and processes that define us as a social species. Dr Cacioppo, welcome to the show. Dr Cacioppo: 01:17 Thank you very much. Tom: 01:18 Wow. It’s amazing having you on in my day job doing marketing. I think a lot about how society effects our brain really delighted to have you. Can you discuss a little bit what for the layman what socioneurology is and how to best to apply it? Dr. Cacioppo: 02:26 The notion was that we are broadband connected, we’re mobile, we’re more like cell phones than a computer plugged into the wall. And so you look at the, uh, the brain as if it were a cell phone. And immediately you ask different questions rather than thinking about language as a way of representing information. You think about it as a communication protocol, a protocol. You look at a brain say where it’s Wifi card. Now, how is it that one’s able to connect at a distance with other conspecific members of the same species? And so it’s also goes across species. It doesn’t just focus on humans, it focuses on other animals and it looks at how is it we’re different, how is it that we’re the same, how deep are the social processes that you might be investigating, like loneliness, as a case in point as well. Dr. Cacioppo: 03:43 social species are so defined because they form organizations and they have processes that connect them on a, on a day to day basis with conspecifics other members of their species and what you see across species is that if you’re on the social perimeter, if you’re a fish being predated and you’re on the edge of that fish fault, or if you’re a herd animal and you’re on the edge of the herd, that’s a threatening dangerous position and our brains have evolved over millennia to go into a self-preservation mode. If you take a rat and you isolate it and then you put it into an open field just- we do this, by putting it into a round, that three meter -a box, what you see from the isolator granted send it will walk around the outside where it’s more difficult for Predator, a Predator to capture it. If that same rat is housed in a group, it’ll explore the middle as well. The side, so notice in both those cases, the rat is by itself in that open field, but the notion that it’s from the social perimeter that it’s been isolated for two weeks makes it more focused on its own self-preservation. Now I’m not suggesting a rat is thinking about this. These are very basic brain mechanisms that don’t take self-reflection and we see some of those same processes operating in humans. Adrian: 04:58 You know, I know that, uh, typically, and it might be a stereotype of guys kind of turn inward, right, and want to separate from, from the group and isolate themselves during a divorce or split up what, what’s happening there? Is that the same type of kind of Reptilian response? Dr. Cacioppo: 05:14 Well, I won’t call a reptilian response, but if you will, let’s say From a genetically deep response. Adrian: 05:19 I like that term better. Dr. Cacioppo: 05:21 In part it is. When you go into self-preservation mode, you do become, you’re not aware, you’re not trying to do this. Nobody’s at fault, but it’s so deep. We don’t have a phenomenology of this. We don’t realize that we’re, our brain is now focused more on ourselves and one of the things that will happen is the person may want to come up with others, but their brains are surveilling for threats because their, if you will, their brain perceives them as on the edge of the social perimeter. They’re no longer have that supportive alliance, that mutual aid and protection with that spouse that they had previously, and so they, as a result of this pre-attentive vigilance for social threats, they tend to act in a little more defensive, hostile way, and they also tend to withdraw. Despite the fact the, the felt motivation might well be to connect with other people. Adrian: 06:08 What’s the treatment there? I mean, what’s the way out? Tom: 06:11 Can we step back just a little bit? You to expand on that idea of being hypervigilant felt that way a lot, right. After, uh, I went through my initial separation. Um, can you talk about how that mechanism works and maybe a little bit about how the feedback piece of it works? Dr. Cacioppo: 06:27 Yeah. What’s so insidious about it is that we tend to be oblivious to what our brain is doing to that aspect. When we found this, the first hint I got that this was going on with a couple of decades ago, where some of the responses versus the behavior we saw were at such a contradiction to one another. People articulated this desire to get in touch with and meet other people. And yet they were acting in a prickly kind of way. And it wasn’t that they’re prickly people. It was that, if I manipulated it- made people feel isolated- they would act in this more prickly, defensive way. And uh, so we mentioned their sleep. Um, we, we had them in the hospital doing studies anyway, and so we simply brought them in. We measured their sleep, we didn’t know who was lonely versus not only their own private rooms. Dr. Cacioppo: 07:11 And sure enough, those who were from the group who felt lonely, , showed more sleep fragmentation. What that means is that they have these micro-awakenings, so they’re not even aware that they have the micro wakenings, but they awakened more fatigued in the morning. and we’ve done this now in a variety of studies, we’ve done it longitudinally and the same person when they feel lonely, show more fragmentation of sleep, then when they feel more connected to those around them, and so that suggests that the brain is on alert, even when you’re not attending to it, the brain swing, after all, you just went to sleep. and so we’ve done brain imaging studies, uh, both functional neuroimaging and electrical neuroimaging. And what we find is that within 100 milliseconds, the lonely brain differentiates negative social threat from nonsocial threats within 100 milliseconds. Dr. Cacioppo: 08:00 It’s much faster than you can do intentionally. For the non-lonely brain that separation, that distinction between social or nonsocial threat, it takes about 250 milliseconds. So, so there’s this significant expedition, if you will, uh, of this threat surveillance and the termination identification, if you feel lonely, suggesting that their brain’s already primed to be doing that. That instruction. We’ve done other behavioral and imaging studies that have shown the same kind of thing. Tom: 08:27 Is that bad for you? Dr. Cacioppo: 08:30 All of this has adapted value. Uh, if you are doing that and in fact, you have conspecifics other humans who have put you on the perimeter and you’re now in danger. Let’s say that you’re on a patrol in Kabul, Afghanistan and you’re a US soldier? But that’s. That can be quite bad for you if you’re not attentive to these social threats, so it, it serves short-term survival, but it does set up physiological and neural mechanisms that are harmful to you in the long term. So we see it to be a risk factor for a premature morbidity and mortality, but that’s because the short term gains have a longterm cost. Adrian: 09:04 How are you defining loneliness when you, when you set out to kind of study this, is that a subjective kind of test for some of the subjects that are taking part of this experiment or how are you defining that? How do you know if someone is lonely? Dr. Cacioppo: 09:17 That’s a great question. We don’t do some do, but what we don’t do is to ask them do they feel lonely? Because what we and others have found is that he asks people, do they feel lonely? Men, in particular, will under report. And there’s a sense in which in our culture loneliness is associated with being a loser, the loner, the outsider, the odd person that turns out to be a myth that in fact, we do what’s called population-based research. Dr. Cacioppo: 09:41 Its research that is representative of Americans and I did that because I want to understand human nature. I don’t want to understand a pathology. I’m going to understand who we are as a species. and so loneliness is this. subversive state, very much like pain. Pain protects your physical body. Loneliness predicts your social body, which you also need to survive and prosper, so it calls your attention to a deficit and we all can be subject to that experience in those particular circumstances, but we misunderstand it. That’s not, how it’s depicted culturally. And so people tend to underreport, uh, there are two ways people have studied objective isolation and we have found perceived isolation and objective isolation are not at all the same thing. You can feel incredibly lonely sitting across the table from your spouse and family at a holiday dinner. If you’re, if you will, in a pre-divorce or in the middle of a divorce state, you simply feel alienated and being with that group can make you feel even more alienated or you can feel not at all, lonely. while, alone, you may be someone who writes for a living. If you’re preparing the case and if you’re a lawyer, if you’re preparing an article as a a a scientist, you may be doing that on your own, but there’s an audience, there’s the judge to see other lawyer and there are your students. There are column names all in your head as you write, and so artists do this when they’re painting or creating music. They have an audience in their mind as well, and so this can be social acts because you intend to share that output, is even though it’s solitary, you should put the material together. So this perception meaning that the brain is the organ that determines whether you, in fact, are on the social perimeter in that. So the objective circumstances are not a very good definition. So finding how do we measure it? There’s a set of beliefs like, questions that we asked, like are there others around you with whom you can talk on that understand you and we know that the lonelier you are, the more likely you are to say no to those kinds of questions. They really get at do you have mutual aid and protection? Do you have, if you will, that tribe that confidant there with whom you can not just receive support but engage in mutual support and mutual aid in protection? Because just receiving support just makes you feel pathetic. That’s not actually being connected to others. Adrian: 11:49 So you need to have that back and forth, right? That give and take, um, in terms of the relationship. So it’s a, it’s not so lopsided. Dr. Cacioppo: 11:57 That’s right. There’s a reciprocity that really defines a synergistic relationship. Dr. Cacioppo: 12:29 Very soon. The work on depression suggests if you’re depressed because you’re bereaved, you can expect it’s normal to feel distant, isolated for about 15 months. If it’s much shorter than that. That suggests denial and that doesn’t predict long-term positive outcomes. If it’s longer than that, that also doesn’t predict longterm out outcomes that are positive. So, uh, that’s, that’s from bereavement, with isolation, because you moved to a new town, you’d probably want to attend more quickly to the fact that you need to reconnect, you need to find new friends and confidants in the area that you can, can talk to and have interactions with. So it’s a little more specific to the circumstance. What made you lonely. If it’s like a loss of a spouse through divorce or death, that’s a little longer for it to be normal. You wouldn’t want to recover very, very quickly because that’s, if you will, not a natural time course, just like the depression that you’re talking about. Adrian: 13:23 What are some of the things that people can do to help one, I guess recognize that, hey, I might be lying to myself and really am lonely, but I don’t want to admit it. And two what are some things that you can do to, to help with that? Dr. Cacioppo: 13:36 I think that’s a great question. I think first thing is to realize what loneliness is. It’s much more like pain and we don’t want to be in chronic physical pain if we don’t have to be right? That’s not a state that makes life fun or enjoyable. So recognizing that this is a natural response, just like the physical pain system. People who do not have that system live a miserable life because they don’t know when they’re hurting themselves when they’re doing damage to their body. So the fact that we are capable of feeling lonely is not a sign of weakness. It’s a sign of being normal. Adrian: 14:06 That’s a great point because I think um, especially in men, when we perceive something as a weakness, we don’t want to look at it and we don’t want to admit it to ourselves. Right? Tom: 14:16 And it sounds like it’s really easy to be in denial about it because it’s sort of hard to self-assess and it sort of drives me to wonder is there a way that if somebody is listening to this thing go, well, you know, I do think that I have people to talk to, but I spent a lot of time away from people you know, and how to figure out if in fact they’re suffering from for too long or have been on the perimeter for too long. When it starts to be unhealthy. To your point about not feeling pain, if you may not feel super lonely, but you could assess through these questions, I guess, that whether you were indeed in need of figuring out other strategies are working a little different? Right. Dr. Cacioppo: 14:56 Well, if you realize it’s very much like physical pain, it’s a signal that you want to respond to, to alleviate it. Then you eliminate some of that defensiveness and denial, but in a lonely state you tend to feel isolated and you tend to feel anxious, depressed, um, and, and you feel a little prickly. You know, when you feel like you’re being attacked by people who may just be acting in a normal fashion. Those all come from this preattentive threat processing that your, that your brain is doing. You’re more focused on yourself and negative circumstances and you get less joy out of interacting with other people when they’re positive interactions. We see this both from people’s reports as they walk around in their daily life and we see it in brain imaging research. We actually see those areas of the brain involved in reward, are less activated in the lonely brain in response to positive social stimuli than in the non-lonely brain. Tom: 15:45 So that prickliness. That’s a great word. I think it’s super descriptive. How would someone know if they were prickly though? Adrian: 16:04 Right it’s all their fault -They’re the rat-bastards. Dr. Cacioppo: 16:14 That’s actually a really important point because you need to be careful, but it’s not about being superhuman. It’s about being just normal and human. Realizing that we can also be the source of that. Now, people don’t feel like when you feel lonely, you feel like you don’t have control, but we have much more control than we realized and some of that control is being exerted, not by us volitionally but by our brain who’s in the self -preservation, mode I’ll give you a very quick example. Dr. Cacioppo: 16:39 There was a study done that used the prisoner’s dilemma. This is a case where you can cooperate on a trial and you have a partner who can cooperate or defect. If they defect, and you cooperate. They get a lot. You lose a lot. If you both cooperate. You both get a little bit. If you both defect, you lose a little bit. . They had lonely and non-lonely people playing a confederate, they thought it was just another subject. What they found was lonely and non-lonely people begin by cooperating. You can imagine. And after about 10 trials, both groups, the lonely and the non-lonely, defected. And what I didn’t tell you was that confederate cooperated on the first trial and in every trial thereafter, they said whatever you would say on the product trial. So you completely determined what happens in that interaction. Adrian: 18:28 The Downward spiral. Right? Kind of like the lack of sleep that’d be more prickly with you’re not getting enough sleep and then everybody appears to come out to get you. Tom: 18:39 I’m just wondering, you know, how does that, how do you break that? How do you know if you’re prickly and grumpy and you’re thinking that people are out to get you? How do you convince yourself that you do have control, and how do you really recognize your prickliness? Dr. Cacioppo: 18:56 but if you put yourself back in that study, it’s just an example of a social interaction. You end up feeling like you have no control, but if you realize that, wait, wait, I know that loneliness is actually doing things to my brain that I don’t know, maybe I do have control and so you can test that. Instead of defecting the next time. Cooperate and see what happens. Now you may be around somebody who’s after you. Who isn’t trustworthy. But you can test that hypothesis rather than just assuming that you don’t have any control. And people are often surprised their response. If I’m nice instead of nasty to an individual, I may not get an immediate reinforcement, but if I persist a bit then I can find out truthfully whether it’s him or whether it’s me that’s producing that negative cycle. And I’d say not immediately because. Let me just give you one other instance you may have in your workplace an adorable colleague. Dr. Cacioppo: 19:44 Everybody thinks, oh, what a nice person. You may be that person. You may also have someone in that workplace who is just the opposite. All right, now let’s say they both walk into your office- independently- and they act in this grumpy mood. If it’s that prickly negative person, you’re going to say, I’m sorry, I’ve got, you know I, I’ve got a meeting I have to get to. If it’s a nice person, you say, what’s wrong? What can I do? How can I help you? Now you’re treating them differently that we’re talking about the other person being a lonely person who now is trying to act nice? And you may because of their history of interaction, you may not be so nice. So you have to realize sometimes we have to live through the history, the expectation that we’ve set up. And that’s a. that’s another reason why being nice in the short term may not be sufficient. But you can test these hypotheses by, you know, going out of your way to make sure you’re not the cause of something going bad. Adrian: 20:37 Yeah, that’s a great point about not necessarily expecting a positive result from your immediate social circle. if you’re feeling lonely and you’ve been isolating yourself and not knowing it and had been a little prickly, then you might not get a great response right from the jump. When you try to interact with folks, right? It might take some time to go back to that well and build that trust. I think that’s an important message. It’s not going to be an instantaneous kind of fix, but you need to kind of to build that, build those relationships back up again. Tom: 21:10 Have a real wise friend of mine who had this really sage advice, which was “always go to the party”. You know, that you get an invitation. And I, you know, I cynically like to say, “you know, you’re a grownup when parties are work.” And so you know, the party comes up and you’re kind of going, oh man, you know, do I go to this? I’ve been out, I’ve been working. I’m tired. You know, all the small talk. It’s tedious. I don’t know if I want to do it. My friend had this comment about “always go to the party” and he’s like, “you’ll always be glad you did.” I reflected on it later and it really is true regardless of how much you abhor small talk, almost invariably it’s worth it. Going to the party I think a salient argument to, you know, keep at it. We talk about the difficulty of keeping at it with exercise. We’ve talked about the difficulty of keeping at it when it comes to continuing your diet after you hit a plateau- and it sounds like what you’re saying is stick to it regardless of even that you potentially are in a mindset to cause you to fold when you probably have a better hand than you think you do. Dr. Cacioppo: 22:14 That’s right. That’s right, and you’re absolutely right. People tend to want to withdraw because their prior attempts have not been rewarded, but if you don’t extend yourself particularly in safe environments, then you’re not going to be able to form those connections and hiding behind the computer and connecting through the social networking site. It’s not the same thing as having an actual face to face interaction. Dr. Cacioppo: 22:43 we have. We’ve evolved aspects of our brain that are responsive to faces that are responsive to smiles or frowns on that are need response. I mean, if you think about when you interact with somebody, you’re reading their mind not accurately, but you’re trying to read their mind, where they look as you talk to them, tells you a lot about what they’re in, what they’re really thinking is they listened to you. If you’re on a Skype or a phone, it’s very difficult to determine what it is that they’re looking at. They may be looking away, but you don’t know what they’re looking at and so there’s a lot of nonverbal cues that we use, but we use in so quickly and automatically that we’re unaware of their power. We synchronize when we interact well, that’s very difficult to do in a phone call, so those kinds of processes absent in a social network -even more so because it’s asynchronous communication -and just are not as fulfilling. Tom: 24:16 it feels like a different part of the brain though is firing off in social media that like the dopamine pop that you get from something positive happening on social media. It seems so fleeting relative to the kind of positive feedback that you’d get, you know, a smile from a person that you’re truly present with. Is there any truth to that or is it just anecdotal? New Speaker: 24:43 Social networking is a tool. It’s like a car. It’s just a tool. Then it’s how you use it. The determines whether it makes you more or less connected. If you used your car and you drive around and you watch people friends out having a good time, you’re just driving around and watching them go to parties. You’re watching them go to the movies. As you drive around. That makes you feel more lonely, not less lonely. Everybody’s having more fun. That’s fine. If you go out and people do that, and social network, they’re keeping up with all their friends, but they’re not participating. They’re watching. If it’s used as a destination like that, then it’s associated with higher levels of loneliness. If instead, you use it as a waystation, um, where are you going to be a tomorrow? I’ll meet you there. Right? We’re coordinating and we then get together. Then that’s using it as a, way station to promote these face to face interactions that are associated with less loneliness that is how most people use it. When people feel lonely though, they tend to move back to using it as a destination because it’s safer. I don’t have to actually suffer the same kinds of losses or rejections that I anticipate suffering if I actually go to that party. Adrian: 25:45 Yeah, that’s interesting. I think it’s pretty. Yeah. It can be pretty insidious if you’re not careful because everybody appears to be at that party that you refused to go to a and it’s happening all over the world all the time. Dr. Cacioppo: 25:57 Yeah, and we’ve talked about the difference between face to face in the same kinds of interactions. Either through networking or skype or our phone call. Think about some way. One way of seeing that distinction is to think about a child, your child, your son or daughter, maybe a young child who doesn’t have you physically present. You’re there on the skype are there on your laptop talking to them versus you’re there and you’re able to hug them. It makes a huge difference in terms of what that child feels as part of you versus, you know, only you electronically, that’s an exaggeration of the kind of difference that we have humans as adults in face to face versus web-based interactions. Adrian: 26:31 There’s a lot of talk about, you know, getting good exercise and diet and having good sleep and having good social connections, out of those which is the, the sleep, diet, exercise, social network connections, which is the biggest long term impact on mental health and, and kind of fulfillment. Is there one that sticks out is, you know, nail this one first or is there one that I didn’t mention that is worth exploring? Dr. Cacioppo: 27:00 If I were to include all the smoking, obesity, exercise, good sleep. If I really put all of those together and contract with one of those happy, he has a set is going to have a bigger effect. If I look at just smoking, smoking is high. It’s a very strong risk factor for morbidity and mortality. That’s going to, that’s going to foreshadow a or overshadow me that says that the risk factor of loneliness is about the size of obesity. It’s a 20 percent increase over those who feel not lonely for the premature morbidity and mortality. So that’s a big effect. Anything you can see, not only are you going to me die sooner, but you’re going to be miserable in the process. You know, if you are just going to die because you’re eating too much, at least you enjoy the food that you’re eating. A No one I know really enjoys being isolated and feeling lonely and disconnected from everyone. Tom: 27:55 I heard one of the best things that you could do, for your health, was take a walk in the morning with a friend. Practical. It is. I don’t remember where I read that. I’m reminded of it. Just kind of hearing the doctors talk about. It’s like, well, it kind of ticks off the exercise thing, kind of ticks off the loneliness thing. Um, and it does, it does a lot. If you can arrange. It’s tough for guys to do it right? Dr. Cacioppo: 28:19 And, and it really depends on the nature of that interaction. What, what we have found is that it’s the quality of the interaction, not the quantity. If you have a lot of friends in check, it’s really quite stunning the singularity in the objective social circumstances between a lonely and a non-lonely young adults as they get older, you see actual differences in the objective social circumstances as well. But if you look at college students, they objectively look very similar. It’s, it’s all in the quantity of the relationships that they are experiencing in that setting. So that walk with someone doesn’t necessarily mean you feel this, meaningful connection with them over a long period of time. Adrian: 28:57 It has to be a good relationship, uh, to make that fulfill fulfillment come through. What, what’s your take on supplementation or medication for relieving, you know, anxiety and loneliness slash depression. Dr. Cacioppo: 29:11 If you look at the effects of pharmacologic treatments on depression per se, um, as long as you’re taking them, they can be effective when you stopped taking them. Um, sometimes, uh, there’s a recurrence not, not infrequently. There’s a recurrence. If you change your social relationships and the negative thinking that’s underlying the depression, uh, then you’re likely to be able to basically change your lifestyle, then you’re likely to be able to, uh, have a much longer-term solution for that depressive symptomatology. So it depends whether it’s, I think there’s a role for those as a treatment in the short term if you’re a very dire circumstance if you’re suicidal for instance, but, but in the long term, you want to actually restructure your life. And I just wanted to make the point that one of the ironies we found in studying not only individuals is that these non-lonely individuals know the importance of taking time away from others, which sounds kind of odd, right? Dr. Cacioppo: 30:06 But it underscores. It’s not only about being with others. And I’ll just give you a very simple example. New Mothers love their babies. They spend time with their baby. They take time, they loved that time, but if they don’t get a break every once in a while, it’s really difficult to continue to be as loving and nurturing as they want to be. So notice new mothers to often if given a break, go off by themselves, kind of relax a bit, catch up with their energy loss from all that interaction and caretaking and then come back and can be even more loving with that infant that’s just a little case of what we see again and again and again, people who are celebrating in holidays and working to make it a nice occasion for their family. If they only do that and don’t get away from the family a little bit so that they can re-energize, it’s, it starts to take a toll and it’s then they become more prickly and you can see how that can spiral downwards. So this isolation sometimes can be healthy, can actually promote social connections. It’s not only about being around others, but it’s also about mutual aid and protection. And that means this synergistic interaction between two people. Adrian: 31:10 That’s interesting because I was reading kind of the difference between an introvert and an extrovert is that uh, an introvert kind of recharges their batteries, if you will, by being alone and an extrovert kind of gets that recharge from going out and being social. Well, what’s your take on that kind of interpretation of what an introvert is, an extrovert? Is there any truth to that in your mind or is that new age? Adrian: 32:40 right? That the self-chatter that goes on. Dr, Cacioppo: 32:56 we’re not baked after seven. One of the, if you are, if you’re in Colorado, we kind had to get that one in. We, we were highly adaptable lessons we learned from others. We change all the time. We change our attitudes as we get older. And you know, thinking about global warming, we have environmental changes that have occurred over our lifespan that went from water is free. So go ahead and explained it as the economic position in the sixties to. We want to be, we want to take care of our environment because it’s going to come back to haunt us and our children if we don’t do that. Dr. Cacioppo: 33:28 And we’re now starting to think that about fossil fuels, when gas was twenty-five cents a gallon and, and, we didn’t realize the toxic effects of using fossil fuels. We had a quite different view of that. And so notice how environmental circumstances, social circumstances, cultural circumstances change. We’re changing what we believe, how we act, what we think, what we’ve learned all the time. So we were deliberately designed not to be fully baked at a very young age. These long shadows from early childhood experiences that we talk about. Kind of the surprising thing is how resilient kids are. It’s not that there are no effects, is that you might expect the effects will be much more dramatic than we actually see over long periods of time. So there’s hope, there’s hope. What would you say to your best friend if he just told you that he was going through a divorce? Adrian: 34:12 He was facing the biggest fear, that he would die alone. And what advice would you give him? I would talk to them about an acronym, four steps that he might keep in mind. The acronym is ease, ease your way back into social connecting the E resonates with what Tom said earlier. Uh, extend yourself, extend yourself in some safe ways, but this is the idea of go to the party. You’re not going to be able to connect with others if you don’t go out and try, but don’t go out and try and high stakes circumstance, do something safe. So for instance, if you like running, volunteer at a running club, if you like reading, volunteer at a library, volunteered at a soup kitchen, you know, lonely people kind of view others negatively. I’m well if you start serving soup to people who have nothing, they’re going to respond very positively and you’ll start to see that people, in fact, are surprisingly nice. Dr. Cacioppo: 35:00 And, and so you can kind of ease your way back into A is undeveloped plan an action plan. Understand how much of your brain is doing to you, what you feel like you have no control over. We’ve talked about that previously within understanding you didn’t have to test hypotheses rather than just assume that you don’t have control. But you know, I always am worried about you don’t want to end up a sucker either, so be careful because people may be exploiting you. And so that’s why I say test the hypothesis. Don’t just assume that they’re at fault or that you’re at fault as his selection. You know, people think that they should be loved by everybody and that’s not realistic and you don’t need to be loved by everybody you know, you need one or two good relationships to feel quite connected. And the idea is to find people for whom you really are like you’d have a synergistic relationship. Dr. Cacioppo: 35:46 Sometimes when you’re lonely, you hunger for social contact, you go to that party and if you’ve ever been on the other side, it feels like you’re being eaten by this person who’s come there. They hunger for contact and now you can’t get away from them because they’re eating a lot and social connections are not about eating others. It’s about sharing food, cooking and sharing food with others so that, that notion of selection means I should identify others who have the same attitudes to have the same interest. Who like to same activities because if we do that together, we both go find it reinforcing. If I like reading and you like football, then it’s unlikely that we’re going to enjoy doing those activities, either one and taking turns doesn’t suffice. So find that subset. You know, people tend to go, guys might go to sports bars to try to find that new mento to a friend. Dr. Cacioppo: 36:31 What it might be that the library is where they should go. So selection, uh, and then finally given you’ve done all those things, expect the best, you know, kind of give people the benefit of the doubt. Sometimes friends aren’t my team. Anybody. You as a longterm friend also has stories about how their friend betrayed them. Well, we betray ourselves sometimes. So, you know, just don’t assume it has to be perfect sometimes, you know, bumped her marriage, marriages our longterm because you make it work not because life was only bliss. And so they expect the best. Tom: 37:01 That really is. That’s the. That’s the most rational case for positivity I’ve ever heard. It’s great. Adrian: 37:07 We really appreciate you being with us this afternoon. I know we’re at time. Where’s a good place where folks can get your books and find out more about you? Adrian: 37:25 and you also have a website. It’s a John Kasey Opo and that’s j o h n c a c I o p p o.com. And we’ll post links to your website and to Amazon as well. Tom: 37:39 I really want to thank you so much Dr for being with us on the show. The idea that one or two really good friends can get you through loneliness and the importance of reciprocity and the rational value of staying positive. I think you know when were despondent and angry and get bitter and you forget about just what you said, that how nice people can be. You’re going to win and lose in this connections, but if the reciprocity is there, it can really improve your brain. I think that’s really powerful. Great stuff. Thank you so much for being with us tonight. Dr, Cacioppo: 38:09 Thank you. It’s been a real pleasure. Announcer: 38:14 Thanks for listening to the over divorced.com podcast with Adrian and Tom. You opinions expressed are theirs alone. They’re not professionals. Join us next time. Anyway. It will be good for you. 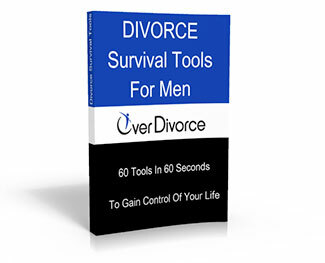 Visit [inaudible] dot com to get your free divorce recovery guide and gets a fantastic resources on making a better life. 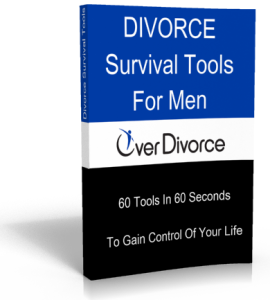 Contact us via email at podcast, at over divorce.com. Follow us on twitter and like us on our facebook page. Announcer: 38:36 We want to help you. If we can.